Scotty Cameron is probably best known for the blade-style putters he designs, but in recent years he has also had tremendous success with high-MOI modern mallets. New for 2019 from Titleist and Scotty Cameron is the Phantom X lineup, which will be replacing the Futura line in the Cameron family of putters. There will be nine new models in all in the Phantom X line, all of which have been designed to provide players with exceptional stability on off-center strikes. From a technological standpoint, each Phantom X putter has been constructed using premium materials, including soft 303 stainless steel and 6061 aircraft-grade aluminum, which combine to provide optimal weighting and balance. Additionally, new, tour-inspired alignment aids have been utilized to help players set up properly and start the ball more frequently on their intended target line, and there are multiple shaft bend options to work with any player’s stroke type. More speed. That was far and away the No. 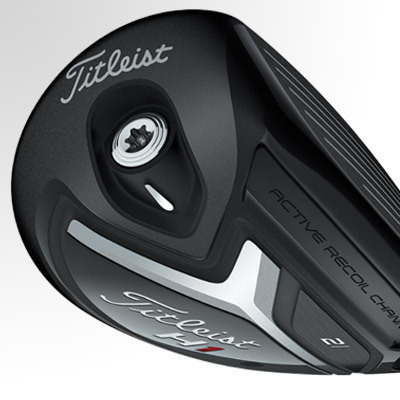 1 goal for Titleist engineers when it came to creating the new TS2 and TS3 drivers. 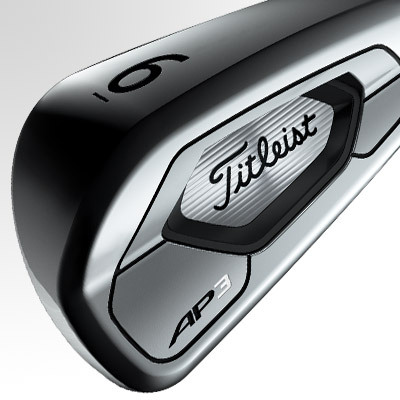 And based on early adoption by Titleist Tour players, it would appear as if that goal has been realized. Making more ball speed possible is a new, thinner clubface that features variable face thickness to also provide better ball speed protection on off-center strikes. Additionally, the thinnest crown that Titleist has ever utilized in a driver has allowed for a low, deep CG position that promotes high MOI, effortless launch, and low spin. While TS2 and TS3 share technologies, they also have unique differences. TS2 features a modern, expanded footprint, as well as a fixed CG position, which combine to promote maximum forgiveness. TS3, meanwhile, offers a traditional shape that will encourage workability, as well as Titleist’s SureFit CG, which gives players the ability to move the center of gravity to achieve their ideal launch, spin, and flight conditions. And finally, both drivers have been designed to reduce air drag by 20 percent, which promotes more clubhead speed. 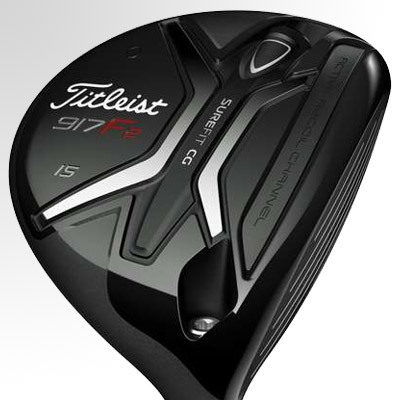 As is the case with the TS drivers, speed is the name of the game when it comes to the new TS2 and TS3 fairway woods. And while these fairways are producing faster ball speeds than their 917 predecessors, where they truly excel is in terms of maintaining ball speed on off-center strikes. That combination of speed and forgiveness has been made possible by a thinner clubface and a newly modified Active Recoil Channel. Additionally, a crown that is 30 percent thinner allowed weight to be repositioned to dramatically increase MOI. 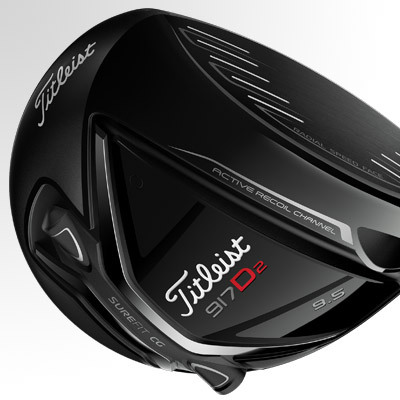 In terms of where the TS2 and TS3 differ, there are parallels to the driver models. 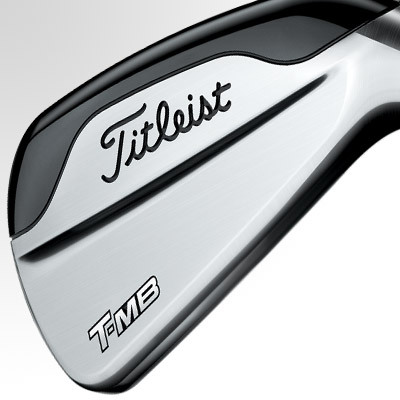 The TS2 fairways have a more modern, expanded footprint that promotes maximum forgiveness. 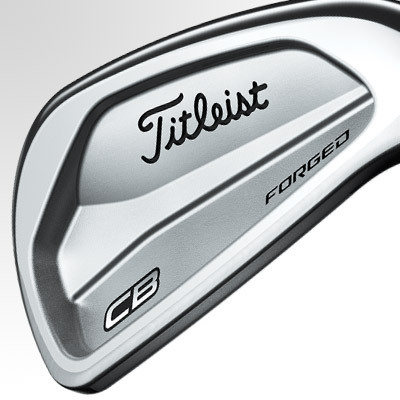 They also feature a fixed CG position that encourages high launch and low spin for optimal distance. The TS3 fairways, meanwhile, feature SureFit CG technology to help players customize their launch and spin conditions, and a slightly more traditional shape will also make it easier for players to work the ball when they want. Scotty Cameron’s emergence as the most renowned puttermaker in the world has long been highlighted by his Select line, which features classic blade and mid-mallet designs that are played by many of the best players in the game on professional tours around the world. Brand new from Cameron is the 2018 Select line, which features seven different models for players to choose from, including cult classics like the Newport, Newport 2, and Laguna. The 2018 Select lineup features exciting modifications when compared to the 2016 line. Most notably, Cameron has moved the balance point in the sole slightly forward to ensure that each putter sits square at address, which also makes it easier for players to align correctly. Additionally, more vibration dampening material has been utilized to create optimal feel and a softer sound while still providing players with the valuable feedback they want on mis-hits. What hasn’t changed, however, are the stylish look and tour-proven performance for which Cameron putters have long been known. In terms of fitting options, as has always been the case with the Select line, 2018 Select putters will work best for players with varying degrees of arc in their stroke. The Laguna, Newport 3, and Newport 2.5 will work especially well for those with more significant arcs in their stroke, while the new Fastback and Squareback models will work best for those with minimal arc in their stroke. And of course, there’s also the iconic Newport and Newport 2 blades, which are perfect choices for golfers with a putting stroke that features a moderate arc. Vokey Design wedges from Titleist and renowned wedge maker Bob Vokey have been the dominant force in their space for more than a decade, a trend that is almost certain to continue with the release of the brand new SM7 lineup, which in a short period of time has enjoyed unprecedented early adoption on professional tours around the world. What has made SM7 wedges so popular so quickly? It’s simple really: exquisite craftsmanship, consistent performance, exceptional feel, and unmatched fitting options to meet the needs of any player. In terms of performance, Vokey’s use of progressive centers of gravity based on loft are allowing players to enjoy improved distance and trajectory control, along with a crisp, solid sound and feel at impact. Additionally, the Spin Milled grooves utilized in each design are not only creating more spin across the line but they’re also created the optimal spin that players need to execute whatever shot they’re faced with. But it’s the fitting options that players have to choose from that continue to make Vokey wedges a favorite among touring pros and recreational players alike. In the SM7 line between the six sole grinds that are available, including the brand new D Grind, and all of the different loft options, there are a total of 23 different combinations to choose from. What does that mean for the average golfer? It means no matter how you deliver the club at impact or what your short game weaknesses are or what type of course conditions you typically encounter that there are Vokey wedges that are perfect for your game. Advanced muscle-back design delivers tour-proven flight with maximum shot and trajectory control. Strategically designed CG locations deliver superior shotmaking and responsive feedback. 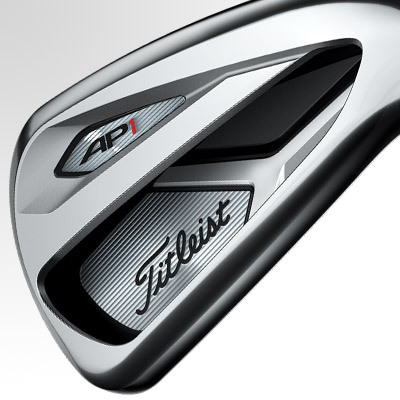 High muscle-back weighting, optimally positioned behind the sweet spot, provides pure, forged feel on every shot. 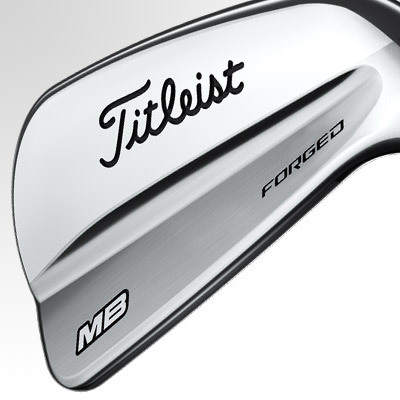 Each MB iron is forged from a single billet of carbon steel for the purist look, sound and feel. 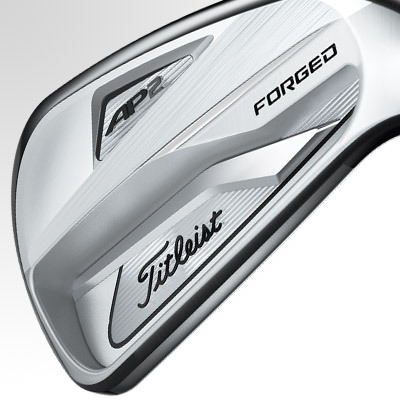 For golfers with a steeper delivery to the ball and prefer the look of an iron. 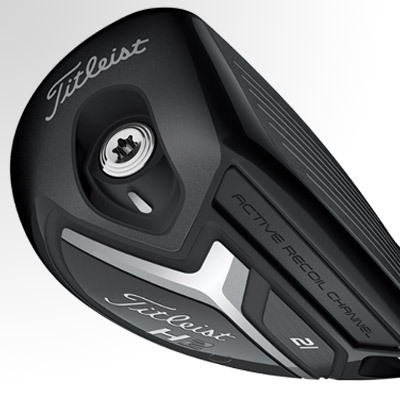 Player preferred launch, precise distance, and iron-like control positions H2 as a scoring club, not a rescue club. There is more Adjustability in the 917 D2 & D3 drivers that features the new SureFit CG adjustment tools to set the driver up for Draw, Fade, or Neutral in addition to the Titleist SureFit Hosel adjustments. The Sound of these drivers has been tour validated to inspire confidence and feel. The Titleist 917 F2 & F3 Fairways are designed to deliver the most complete performing fairways to date. All around playability combined with enhanced forgiveness are built into a larger profile fairway wood.